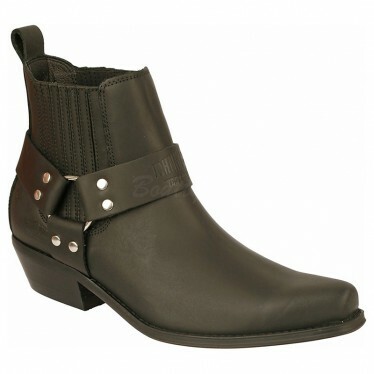 Men biker booties in leather. Square toe, with stictches ornament and inner rubber band for fitting. 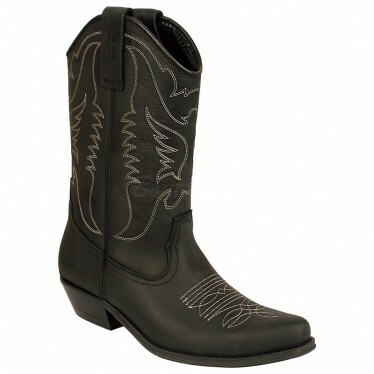 It matches biker, cowboy or country styles. 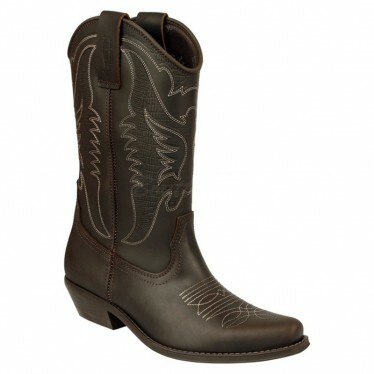 Made in Spain by the prestigious brand Johnny Bulls, specialized in the manufacture of biker boots, cowboy boots and country style boots. 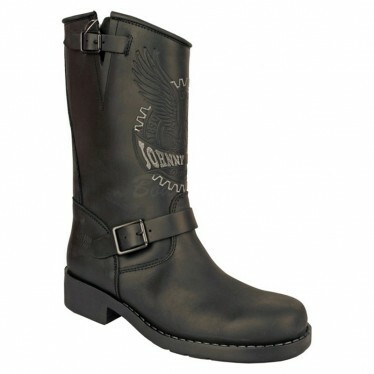 Men Biker boots in letaher, by Johnny Bulls. Lether straps, metal ring and rivets ornament. Made in Spain. Style biker, cowboy, cowboy. Perfect to wear with jeans and a casual look. Biker boots of man in fur, Johnny Bulls. 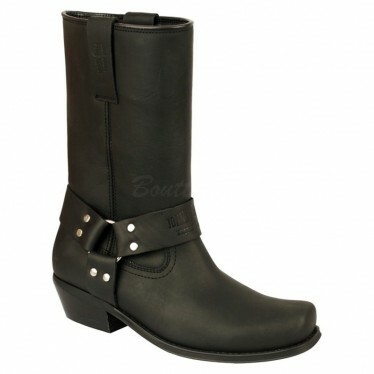 Adorned with rings, straps and rivets. Made in Spain. Style biker, cowboy, cowboy. 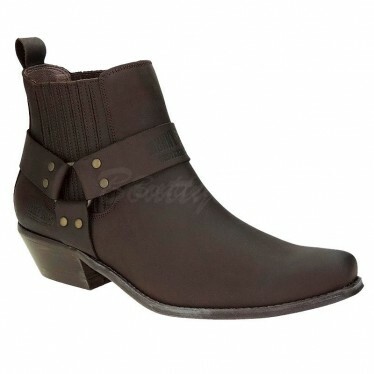 Perfect to wear with Indians and a casual look. 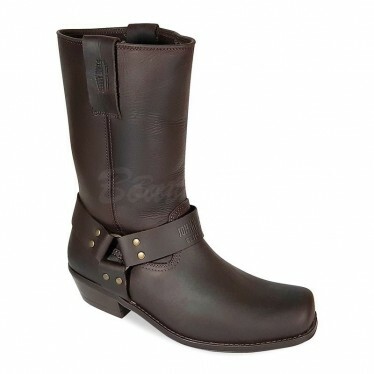 -Men´s Biker boots in fur, Johnny Bulls. Rounded toe. Straps with buckles. Biker vests, Cowboy. Made in Spain. 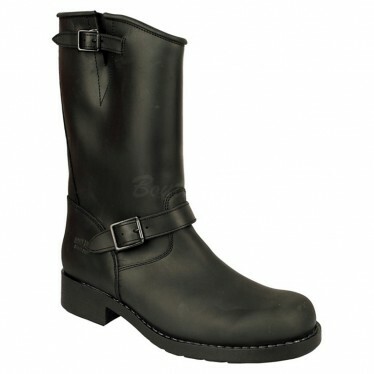 -Biker leather boots made by the prestigious brand Johnny Bulls, specializing in the manufacture of biker boots, cowboy boots, cowboy boots and biker boots. 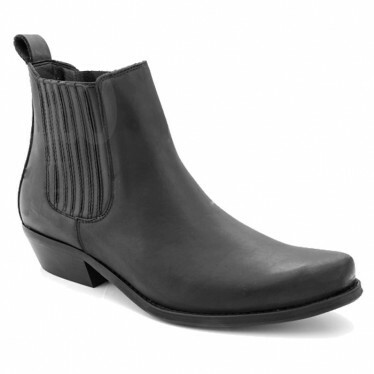 Tienda Botas Moteras Online | Comprar BOTAS MOTERAS de PIEL Hechas en España al MEJOR PRECIO con total Comodidad y Garantía.